Classified advertising is the most underappreciated and misunderstood category of ads in the online industry. 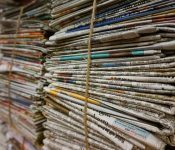 Newspapers and magazines traditionally provided the bulk of classified advertising and made a tremendous amount of money from it, especially newspapers with the employment, automotive and real estate categories. That lucrative business has declined dramatically in recent years as advertisers have moved their money from print to online. An effective online classified ad strategy will provide a valuable revenue stream that enhances that revenue coming from other sources such as display ads. Just to be clear, online classifieds are pure text ads presented in a directly-style format. In effect, they are a form of paid content. Mature online newspapers now generate more revenue from online-only classified ads than classified upsells. Other newspapers rely heavily on upsells and are creating opportunities for online-only competition to win over their customers with lower prices. Newspapers that consider offering online-only classified line ads to their customers often do so with trepidation.